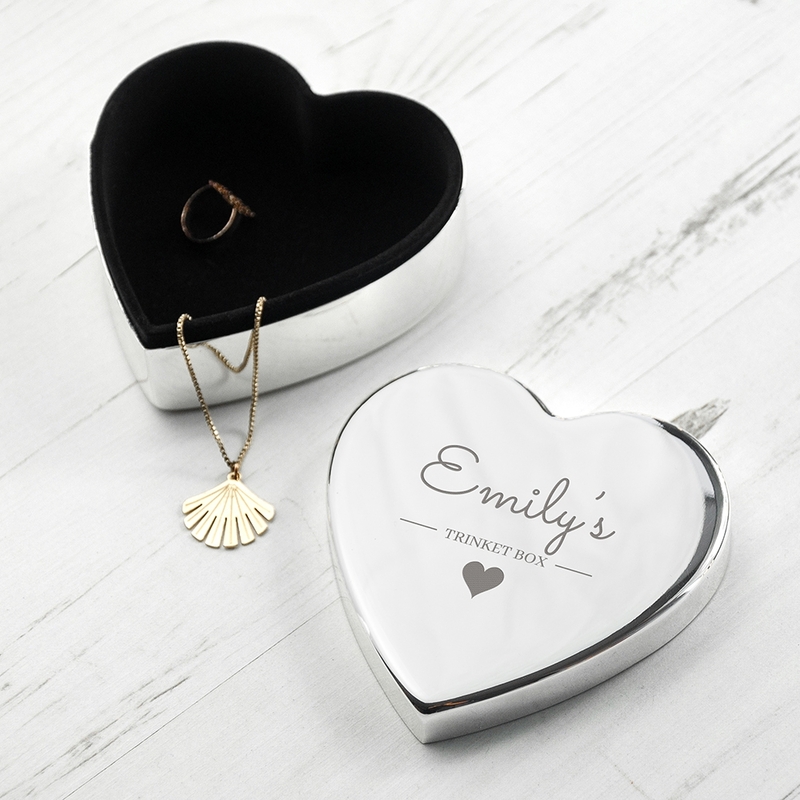 If you’d like to buy a little gift she can treasure in years to come, treat her to this Personalised Contemporary Silver Heart Trinket Box. 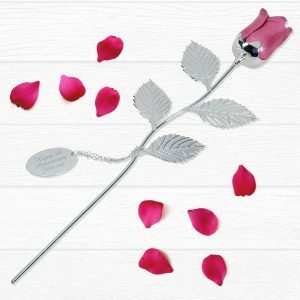 With a gorgeous lining on the inside, and any name on the lid it’s sure to take pride of place on her bedside table. Trinket Box is fixed wording the chosen name will sit above, please include the ‘s. 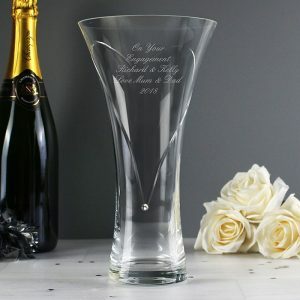 Protecting trinkets like rings, earrings or necklaces from scratching or tarnishing, this utterly beautiful silver plated trinket box is a wonderful gift for Birthdays, Christmas and even a Christening gift. 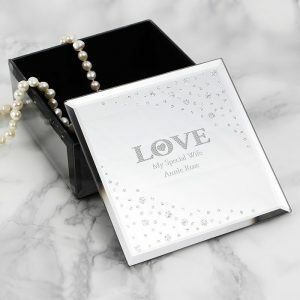 The perfect addition to her dressing table, this little box may be small but its heartfelt and a beautiful gift. My Gran loved this for her birthday, such a neat and well presented trinket box. 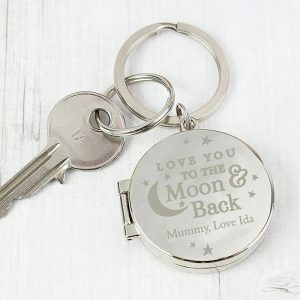 The personalisation made it extra special for her 80th birthday.